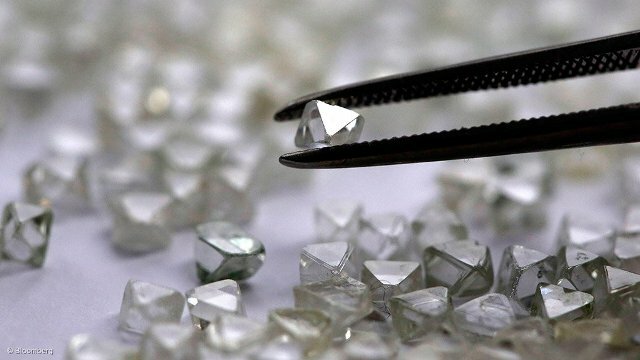 Stellar Diamonds plc, the London listed diamond development company focused on West Africa, announces that it has exported a diamond parcel of 3,341 carats from trial mining of its Baoulé kimberlite project in the Aredor area of Guinea to Antwerp. These goods will be cleaned and assorted prior to a planned auction which is expected to take place in March. This third diamond sale will form part of the on-going trial mining evaluation of the Baoulé pipe in order to determine the diamond grade and value of the deposit. Stellar’s objective is to mine and process 100,000 tonnes of kimberlite, which is now over 70% complete and is yielding results in line with expectations. Based on the current grade realised and previous drilling results the Company is still targeting a resource in the region of 3 million carats at Baoulé. To date some 8,830 carats have been recovered from the trial mining. Two diamond sales, totaling 5,173 carats and generating revenues of over US$700,000, have been completed in 2015. Further information on the planned diamond auction will be given once the final schedule has been confirmed. This announcement has been reviewed by Karl Smithson, Chief Executive of Stellar, a qualified geologist and Fellow of the Institute of Materials, Metals, Mining, with 27 years’ experience. Stellar is an AIM quoted (AIM: STEL) West African focused diamond development company which has commenced trial mining of its Baoulé kimberlite in Guinea, and is progressing the 1.45 million carat Tongo Dyke-1 resource in Sierra Leone through the mining licence application process. In addition, Stellar holds the 3 million carat Droujba project in Guinea and continues to pursue diplomatic channels to ensure the proper reinstatement of its Kono licences in Sierra Leone.